WATCHMEN – It’s where I assign a hot new release characteristically with one of the five key heroes from Watchmen. Plus in honour of the 14th, I'm also pairing my February picks with books that will make your valentine love comics and keep you passionate about them to. SILK SPECTRE (Stops traffic with looks alone): AQUAMAN #6 (DC) For some characters to go from back-bencher to the A-league it takes years. For Mera, it took Ivan Reis and Geoff Johns. Now the new girlpower packer of pop-culture gets a spotlight issue of sorts, where she proves still drawn by the crazy mad skills of Ivan Reis, she is no-ones fish out of water. THE COMEDIAN (The Next Cult Hit): SECRET AVENGERS #22 (Marvel) If Marvel Zombies are currently seeing someone outside their usual pull list relationships, chances are it's for writer Rick Remender's Uncanny X-Force. 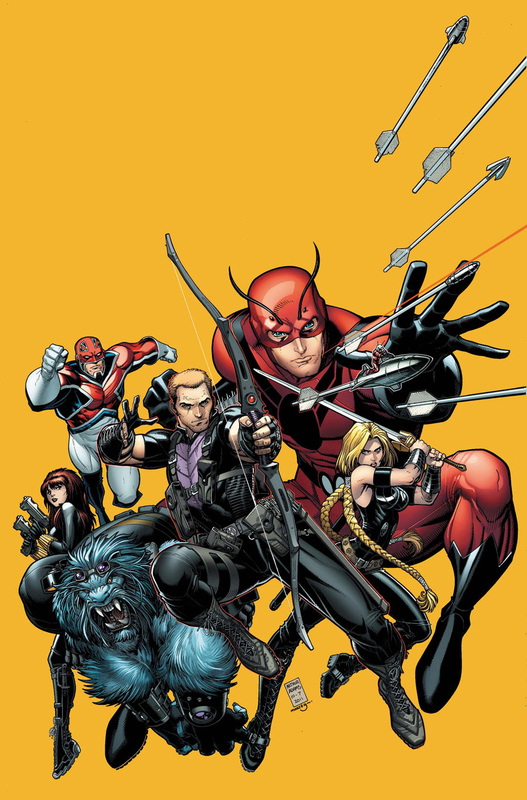 Now scripting the equally covert Avengers team, Rick's making the line-up even sweeter with Giant Man, Captain Britain and new leader Hawkeye, while still keeping Black Widow and Beast on hand! 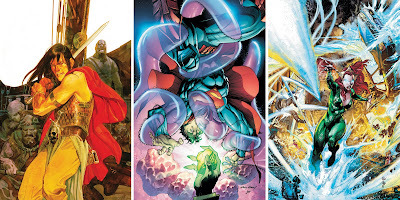 Add the untouchable Arthur Adams on covers and temptation to drop an old faithful suddenly has a whole new face! RORSCHACH (The Indie Voice): CONAN THE BARBARIAN #1 (Dark Horse) If you have read his work for IDW or Vertigo you know Brian Wood as writer is going to be epic on Conan. Adapting Robert E Howard's fabled Queen of the Black Coast story, chances are if you seek sword and sorcery action more than long multi-title walks on a Gotham beach, you've met your perfect match right here. NITE OWL (The Dependable Goodie): ACTION COMICS #6 (DC): Nothing in comics spells a whole lotta lovin' more than Superman teaming up with the Legion of Super-Heroes. Here, not just one Legion comes to the party as the race is on to save the Superman of the past. Add to this the Anti-Superman Army and you have to wonder how many ideas writer Grant Morrison doesn't put in a comic. 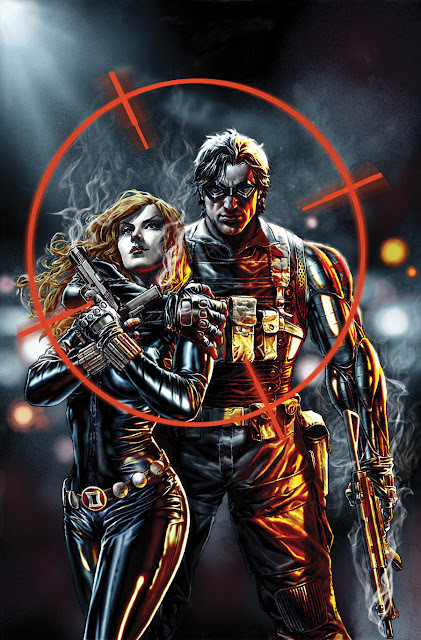 DR MANHATTAN (The Neon Blue Guy In The Room): WINTER SOLDIER #1 and 2 (Marvel): The most smokin' couple in comics debut two issues of a whole new title in February, and the first person set to break up the Winter Soldier and Black Widow is none other than Dr Doom! Add to that ex-Russian sleeper agents, talking gorrillas, Ed Brubaker writing, Butch Guice drawing and Lee Bermejo covering and your wallet would neeed to have a heart of stone not to pick this up! Isn't winter soldier Bucky, and isn't he dead, since like, 5 minutes ago? He was Aliera but kinda best just to ignore that glitch. Trust me, Winter Soldier is the best addition to the Marvel Universe in alllooonngggg time - if Marvel had kept him deadit really wouldve been tragic.